Interview with a Serial Killer heralds the arrival of two young, talented filmmakers: producer Genevieve Jolliffc and director Chris Jones. 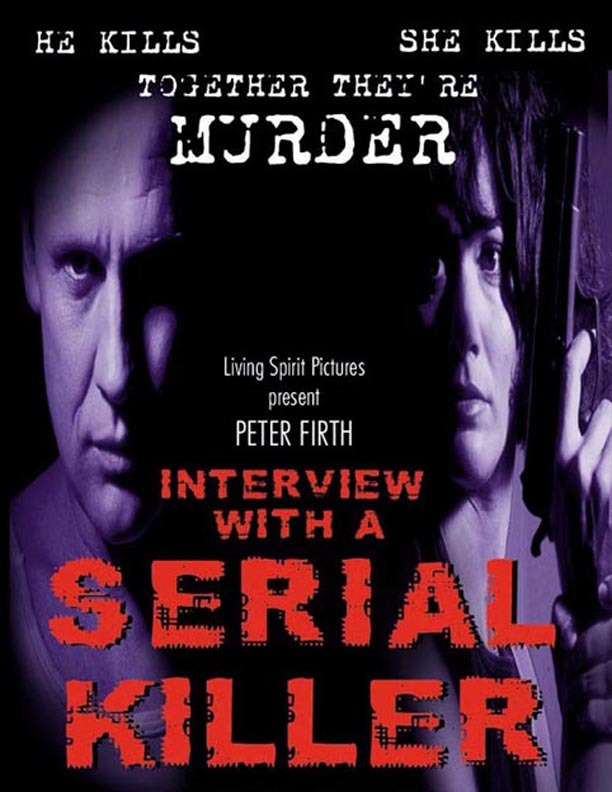 More a film about serial killing than about a serial killer, Interview with a Serial Killer offers a novel and very British view, whilst dealing with the complex (subtle?) differences between manslaughter and murder. Leslie Steckler (Peter Firth) is a soft-spoken dentist who rents a room in Ellen Carter's (Harriet Robinson) house. She is a successful writer on criminal psychology who is being hounded by the police in connection with her husband's disappearance. Meanwhile, London is in the grips of a serial killer, the "White Angel", and the dentist and the writer become entangled in a dangerous game of blackmail. The plot is full of surprises, twists and turns (all best left untold) that keep you on the edge of your seat, relying on powerful psychological devices and avoiding unnecessary gore. In many ways it's a first in its chilling (fictional) portrait of a very British way of serial killing. Mesmerizingly good, and a triumph of British independent production.